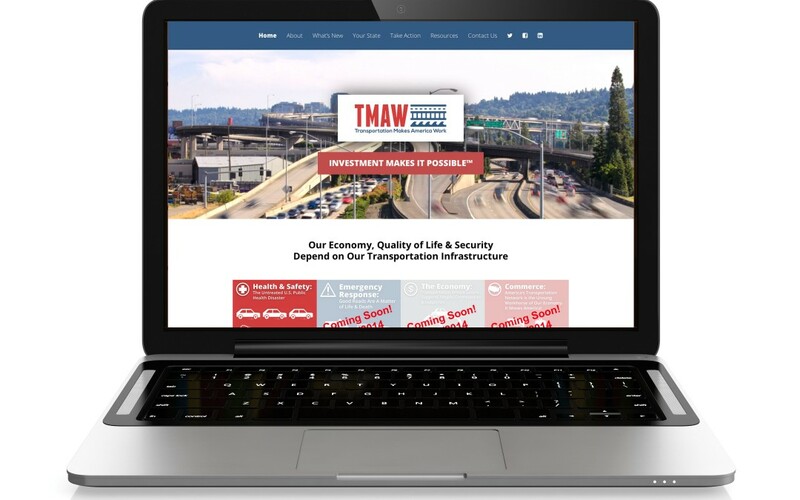 An ARTBA-developed website and social media campaign unveiled today provides members of Congress with plenty of sound bites to support their vote later this year to provide a sustainable, long-term revenue stream for future highway and transit investments through the Highway Trust Fund (HTF). TMAW.ORG, the website for ARTBA’s “Transportation Makes America Work!” (TMAW) advocacy communications program, features shareable infographics that show the value of transportation infrastructure investment and its impacts on health and safety, children, family budgets, and the U.S. economy and quality of life. ARTBA is rolling out the campaign over two weeks, supported by “The Shocking Truth” internet and print advertising in the D.C. market and an aggressive social media strategy. One new set of infographics by topic will be introduced each day, June 17-20 and June 24-28. Phase two of the strategy is pushing the infographics out to the transportation design and construction industry for use with their elected representative back home during the July 4 and August congressional recesses. Contact ARTBA’s Director of Public Affairs Beth McGinn to learn about how you can join in the effort.